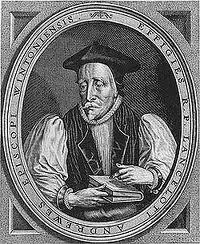 September 25th is Lancelot Andrewes Day, when the Church remembers one of its greatest preachers and the man whose scholarship and gift for poetic phrasing was so central to the making of the King James version of the Bible. My own Doctoral thesis was on Andrewes and he has exercised a huge influence on me. On the 400th anniverseary of the KJV I gave a lecture for the Society for the Study of Biblical Literature on Andrewes and translation which will be published later in September. But i have also included a sonnet for Andrewes in my forthcoming book The Singing Bowl, so here it is. As usual you can hear the poem by clicking on the title or the ‘play’ button . The KJV; Nostalgia or New Life? 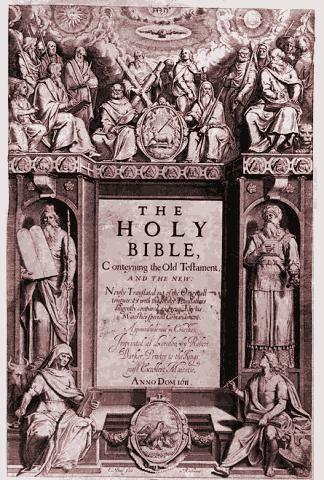 All year we have been Celebrating the KJV here in Cambridge and I have given a number of sermons and written a number of blog posts and articles on the specifics of the translation. However as the year has continued I have had a gradual sense of unease about the way it is being celebrated, at least here in England. It seems to be touted more and more as a cultural artefact, a piece of marketable heritage, a source book of common phrases, a decorative back ground to literature, but never as sacred, challenging, or life-changing. The whole year seems to have been about manner not matter, about style not substance, as though we could honour and praise a book without ever considering its actual content! Finally I decided that I wanted to say something publicly about this misgiving, and to outline, by way of contrast, what the original translators were working to achieve, and I have done so in the sermon I post below. The core of what I have to say is an exposition of four beautiful images from Miles Smith’s prefaratory letter in which he set out very clearly what the translators of the KJV thought their translation was for. So I give that passage from the Preface here, followed by the audio of my sermon, you can either click on the ‘play’ button if it appears in your browser, or on the link in the title of the sermon. The audio lasts for 25 minutes.